I have heard good reviews about Rogue Bar + Bistro from few people and their enthusiasm about this place has certainly sparked my interest. Together with MXM, we both visited Newstead, another quiet industrial looking neighbourhood. We arrived around 11.30 am and breakfast service has finished. So, we had lunch instead. The menu is easy and simple, and you choose your preference of 'lamb', 'pork', 'beef' and 'chicken' etc. 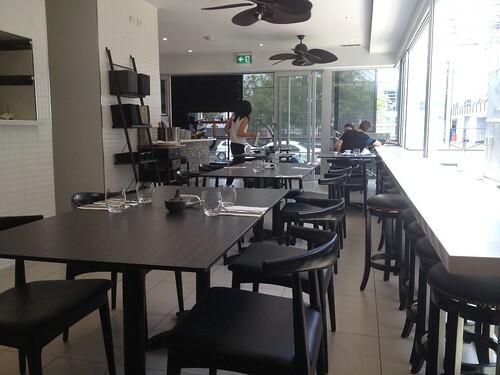 The settings in Rogue Bistro is simple and I like it. We sat just outside the kitchen and I knew our food is coming because of the aroma! 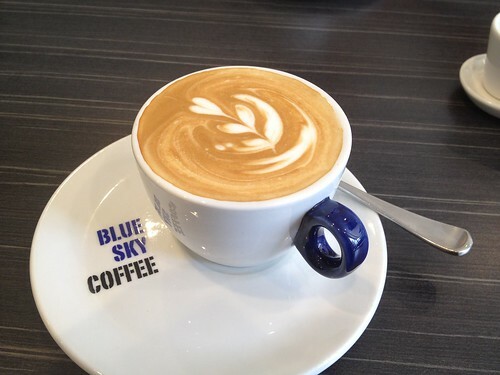 Their coffee are from Blue Sky and I had the usual skinny flat white while MXM had his long black. Asking about coffee? Ask MXM as he is an expert. I think the coffee was all right. I was intrigued by the 'pork' so I chose that. 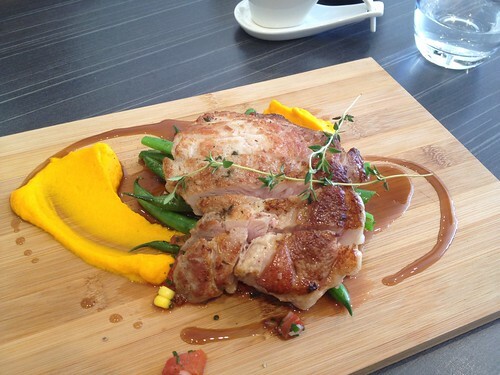 The pork was cooked to just well done, served on a bed of green beans and corns, with sweet potato or pumpkin puree. Sorry, I could not remember whether it was sweet potato or pumpkin (as it has been near a month now since I visited Rogue!) but the puree was smooth and light. Besides that, there was some tomato salsa as well. Overall, I like this dish. It was very well presented on the wooden 'plate' and the flavour combinations were good and well-balanced. 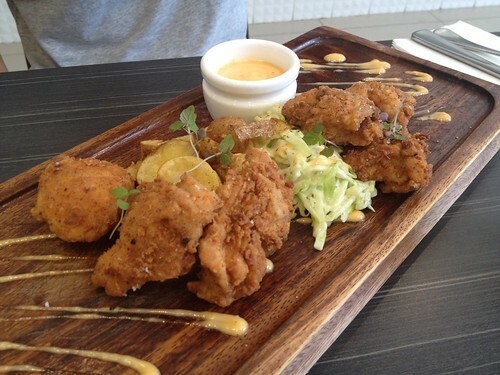 MXM had the version of fried chicken! I was pretty jealous of his dish. The crispy and tender chicken bites were marinated really well and then fried to perfection! I am hoping to visit this place again!